I purchased my Linksys WRT54GC during the Black Friday sales of 2006. I got it for $1 (after mail in rebates). I didn’t really expect much of the router at the price but it lasted for over 7 years of heavy home use. Yesterday evening a friend mentioned noticing my Wifi was down. I normally let guests use it while here. 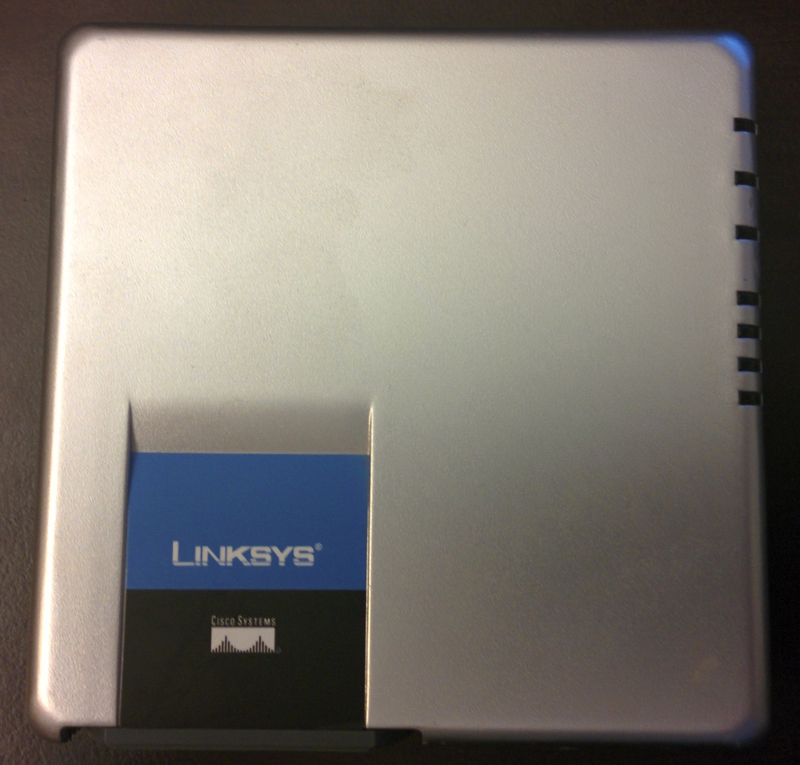 I went upstairs to find the old Linksys powering on but dead. So I scoured through my spare electronics bins and found the power adapter to a regular non-wifi router. It’s not as easy as it sounds I have a few dozen power adapters and 11 bins of old electronic devices and cables. After finding everything, I was finally able to get the wired network up. Later I decided to get wifi in the house DIY style. I went to my server which acts as a web/file/print/media server in our home and added another duty to it. It’s now pulling yet another duty as a wifi access point. It took around two hours to get that set up because most of the how-to’s I read on setting up an infrastructure wifi access point had a few details different from each other. My setup of course had a few specifics I had to tweak so it basically it became trial and error figuring out how to configure some of it. While frustrating, it was good to learn the process. Now I’m debating if I want to get a replacement wifi router or just keep the setup as is. At any rate I will write yet another guide for how to use a spare pc as a Linux based wifi access point in the future in case someone else runs into the same struggles I had.